You know what isn't at all scorpion and barely qualifies as fish? The Blobfish! As far as I can see, that's the first member of the Scorpaeniformes order featured in this collection of monstrosities and, well, it's a bit of a weirdo even by Scorpionfish standards. Since then we've learned about lots and lots of Scorpionfish. 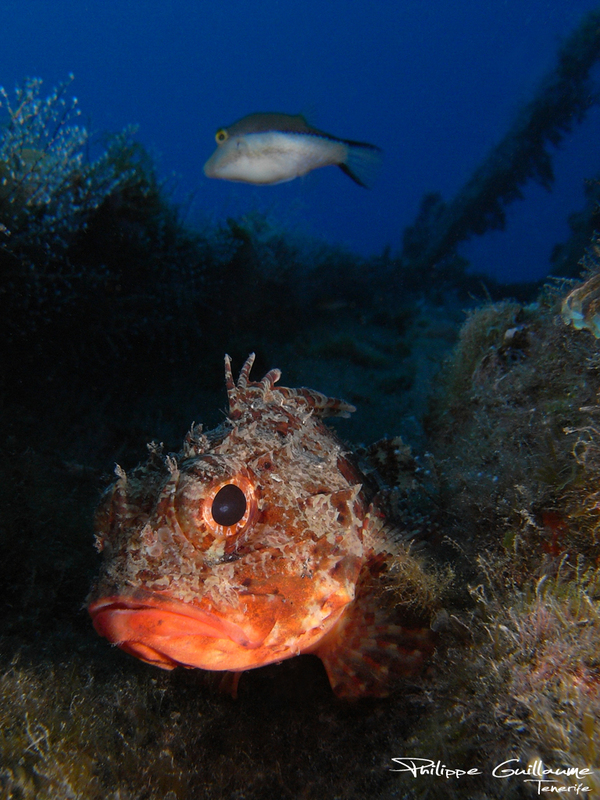 From the adorable Grunt Sculpin to the beautiful Lionfish. The looks-like-a-leaf Australian Prowfish to the walking-head-of-a-bone-dragon, Demon Stinger. 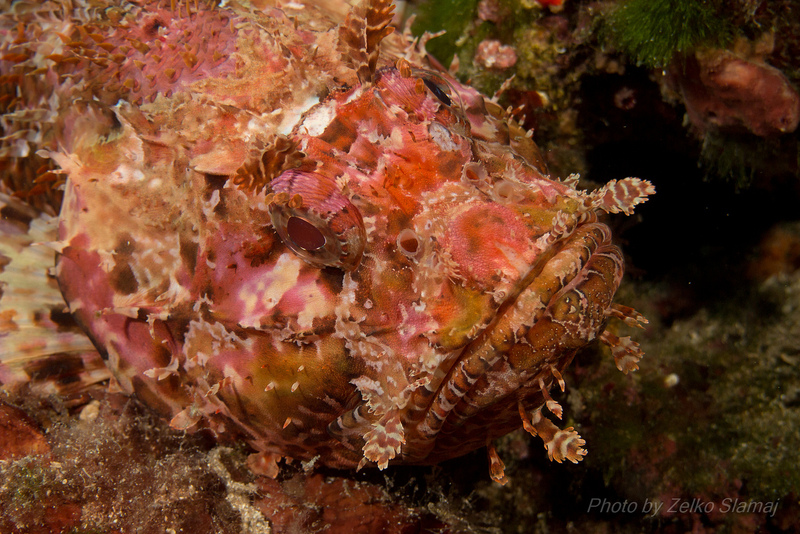 I honestly had no idea Scorpionfish were so incredibly cool in so many incredible ways! Anglerfish have the abyssal gluttony of the Black Sea Devil and many other deep sea uglies, but good ol' Scorpionfish really pull their monstrous weight up here in the sun-dappled shallows. So I thought it might be nice to check out the very first Scorpionfish to be named by science. See where it all started. It's Scorpaena porcus (porcus? What's up with all these pigfish?). It was named, of course, by the king-of-names himself, Carl Linnaeus, in 1758. 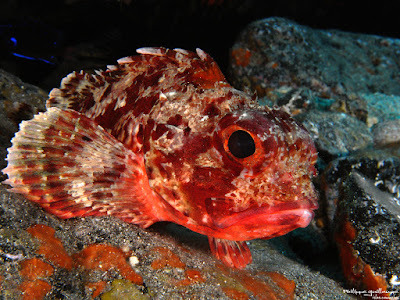 It became the first species of the genus Scorpaena, and went on to lend its name to the Scorpaenoids and Scorpaenids of the Scorpionfish family and ultimately the Scorpaeniforms of the Scorpionfish order. Carl Linnaeus came from Sweden and didn't travel particularly far during his life so a lot of the animals he examined and named are quite small, quite brown and quite common in Europe. The Black Scorpionfish is no exception. It reaches somewhere between 15 and 30 cm (6 to 12 in) in length and has a kind of Roman Empire distribution. They live all around the Mediterranean and Black Seas, a little bit down along the coast of northwest Africa and up to the lower half of the British Isles. 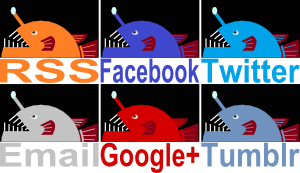 The little fish outdoes Roman civilization, however, by conquering the barbaric lands (seas) of Ireland and extending all the way out west to the Azores. Who knows what dragons and sea serpents they had to battle out there? Aside from all that, the Black Scorpionfish is an old school Scorpionfish. Unlike some of their more slovenly relatives they can swim quite well, though they still have huge pectoral fins to help them drag themselves across rocky and sandy sea floors. 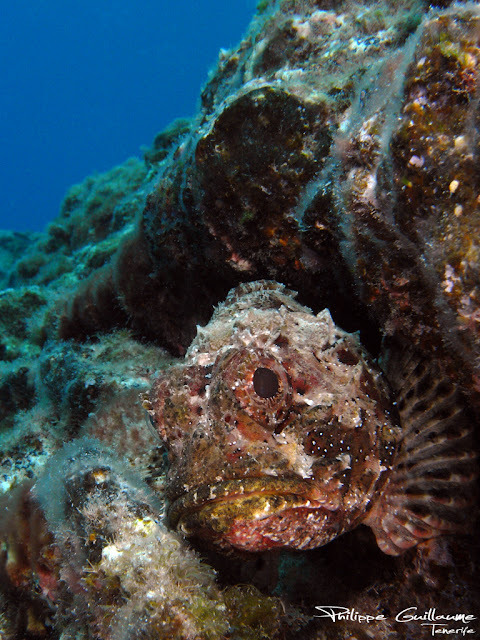 And, like many a Scorpionfish, they much prefer the dark arts of lurking and skulking to all that swimming and zipping about so many other fish seem to enjoy so much. Black Scorpionfish are all Scorpionfish. They're not particularly black, though. They're more brown and mottled, which works great as they hide among algae and wait to pounce on any small fish or crustacean that may wander by. 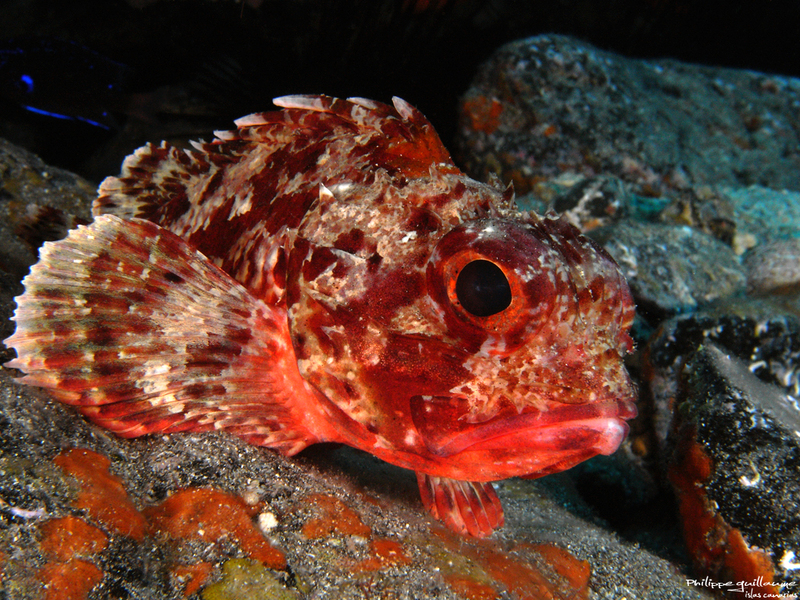 And, being all Scorpionfish, they also have the sharp spines in their dorsal fin and gill covers that can inflict a painful, venomous sting. It's nowhere near as bad as the potentially lethal Stonefish, but it causes swelling and it hurts! All in all, S. porcus is fairly conservative as Scorpionfish go. And yet, with their spines, venom and lurking ways they bear all the ingredients needed to establish a firm foundation for ongoing weirdness. It just needed some of those tropical species to pick up the baton and run with it. Not that they actually run anywhere. More drag themselves with their fins or, even better, crawl with weird, fingery spines. Ha! I'd be pleased with either one!